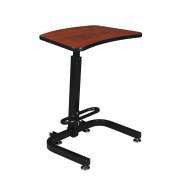 What is a sit stand desk? 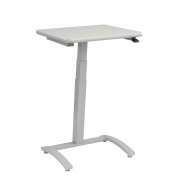 Unlike standard workstations which are designed for working from a seated position, sit stand desks accommodate a range of positions. 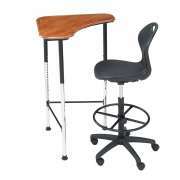 They can be adjusted from seated to standing height, allowing professionals or students to work in either position. This flexibility has proven to increase productivity and reduce strain and discomfort. 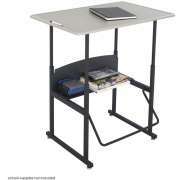 An adjustable standing desk will revolutionize the work or study experience. Rather than being stuck in one position, it encourages flexibility and healthy circulation. The ability to shift weight and move around also increases focus. 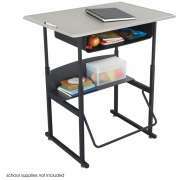 When you invest in stand sit desks for your office or school, you are likely to see some great returns. 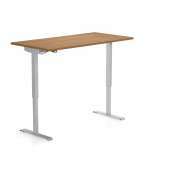 What are the benefits of a stand up desk? 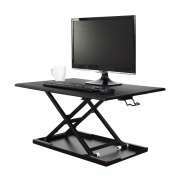 A sit stand desk boasts numerous advantages. Recent research has shown that sitting in one position for many hours, even if you have an ergonomic workstation, is not conducive to maximizing productivity. 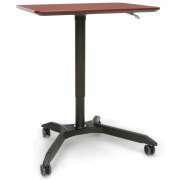 With the ability to move from a seated to a standing position, people can move around and get their blood flowing without having to leave their desks or stop working. This allows you to maintain focus and get out some energy at the same time. Sometimes just seeing things from a different perspective can break up the monotony of the work day. 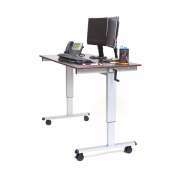 Are sit stand desks worth it? 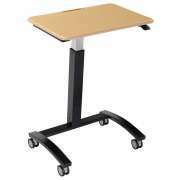 Adjustable standing desks offer great returns on your investment. The increase in focus and decrease in computer-related injuries and discomfort amount to more productivity and therefore more actual work time for employees. With the amount of time that today’s professionals spend working on a computer at a desk, even a small increase in focus every hour can amount to many extra hours in the course of a year. If you think about the increase in work hours that can result from switching to sit/stand desks, they are definitely worth a try. 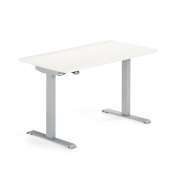 How do you adjust a sit to stand desk? 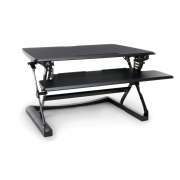 There are many options when it comes to purchasing a stand sit desk. One thing that should definitely be a factor in your selection is the ease of adjustment. Most people like to have some combination of sitting and standing during the work day, so you want to make sure that the transition is as smooth and effortless as possible. 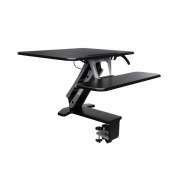 An easy-adjustment lever saves lots of time and strain for individual employees and also allows multiple people to share a workstation. 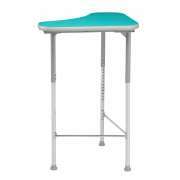 A wide height range is also important so everyone can enjoy an ergonomic fit whether they are seated or standing. 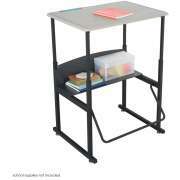 Should I get sit stand desks for my classroom? 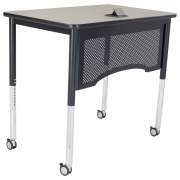 Sit to stand desks aren’t only for adults. 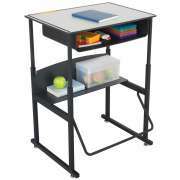 In fact, they can be particularly helpful to fidgety students. It’s hard for kids to sit in lessons all day. Sometimes they just need to move around, and not only during recess and breaks. 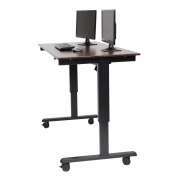 Stand up desks encourage natural movement. 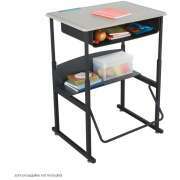 A swinging footrest bar allows children to self-manage energy levels while they remain focused on the lesson or the task at hand. 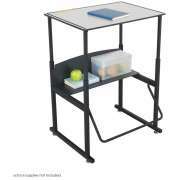 We offer models with and without book boxes with a choice of surface materials so you can enjoy this educational innovation while fitting your school’s needs and budget.